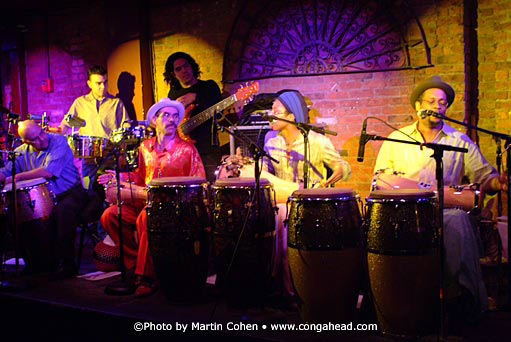 The Montvale Rumba Ensemble, led by Little Johnny Rivero and Pedro "Pedrito" Martinez, performed at the Village Underground. 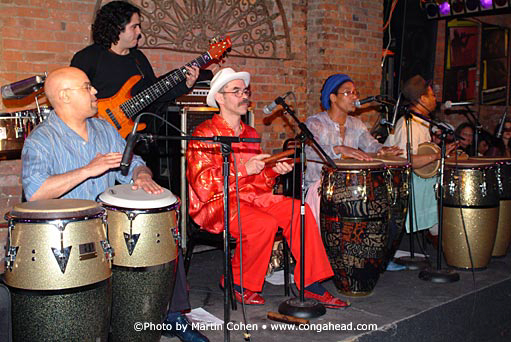 The CD, which was conceived in my living room at home, and was then moved to the LP recording studio, has been hailed world-wide as a recording that embraces the concepts of the Cuban rumba, as well as the music of Brazil and other parts of Latin America. To read a review and hear a sound sample from the CD please click here.